Changing the way you build our business and services to fit our customer need. The first reason why our courier services are rated the best in the region is because of the affordable rates we accord our esteemed clients. Having invested heavily on infrastructure, technology and equipment, clients can rest assured that their needs would be met perfectly without having to incur extra costs. This has been made possible by our fleet of vehicles, including cars, pickup trucks, mini vans, cargo vans, box trucks, etc. which can carry up to 10,000 lbs. The second reason why our courier delivery services are the best is because of security. There is no denying the fact that courier delivery services should have beefed up security to ensure everything that is being ferried is safe and secure. With Smart Delivery Service, you do not have to worry that the security of your legal documents, medical supplies, medical documents, prescriptions, medical delivery of specimen, office supplies, parts, industrial supplies, etc. would be compromised. We take security seriously and that is why we have implemented all possible measures to ensure our services are the best. 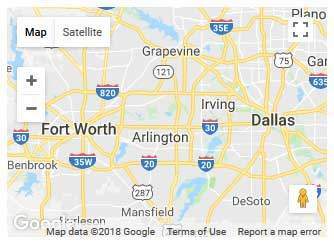 The third reason why we are the top rated delivery service in Texas and the top rated courier service in Minnesota is because of our professional team of drivers and courier delivery service agents. We have invested in the best human resources in the region to ensure that all our customers are treated with the greatest professionalism and service. We also have enough experience to know the ins and outs of the industry and to be able to customize our services to meet those of our esteemed clients. Having been in the industry for over 20 years, there is no doubt that our vast experience in delivery services give us an edge over our competitors who are just getting started in the business. We know our way through Minneapolis/St. Paul and Dallas/Fort Worth and throughout Minnesota and Texas. You can rest assured that we will deliver right to your doorstep; after all, we have been doing it for over 2 decades. Last but not least, thanks to technological advancements, we have managed to ensure we have an easy and convenient online portal. The online portal makes it easy for us to optimize productivity, decrease errors, reduce length of stay, enhance compliance and more importantly reduce costs… upon which savings are passed down to our clients. Same Day* – Service requested by noon, to be delivered by the end of business day.